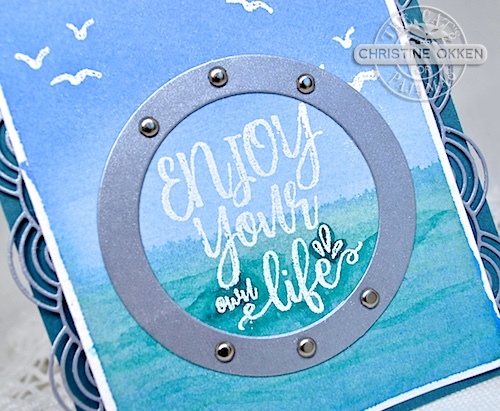 ChristineCreations: TCP July Release - Enjoy Your Own Life! TCP July Release - Enjoy Your Own Life! It’s Sneaky Peek Week at The Cat’s Pajamas! Today I’m jumping in with some creations that celebrate life. The “just being together and enjoying each other” kind of life. I think we all can use some of that encouragement, right? First up is a really fun new set called Oh Buoy, I have two cards today with this set because there’s so much you could do with it, and I didn’t even colour any of the images yet! I just love this particular sentiment in the set, “enjoy your own life”. How often we compare to someone else rather than just take note of how special our own life is? I am choosing more gratitude in my life and slowing down to see what’s right in front of me. This is the only life I’ve got! I started by stamping the seagulls onto Arches Cold Pressed watercolour paper in White Craft Ink, embossing them, and letting them cool. 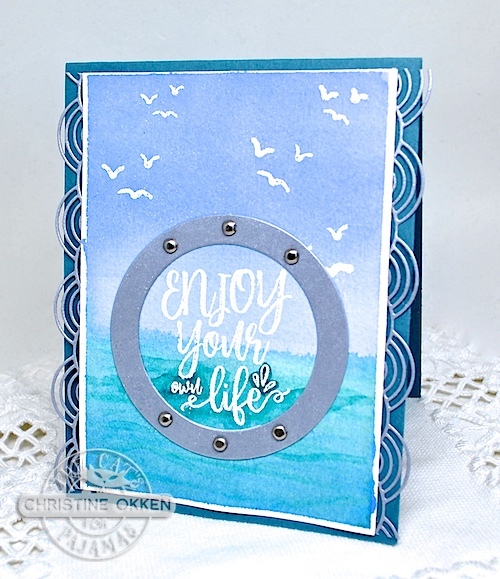 Then I washed a sky and sea background in to give it a nautical feel, added the sentiment, and surrounded it with a “porthole” created with TCP’s Framed Up 2 CutUps Die in silver metallic cardstock. With a few silver brads around the frame it really does take on the look of a porthole to the sea. 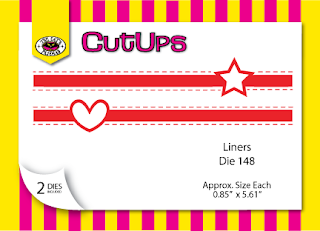 The gorgeous scalloped edging is a new die this month called Rolling Hills. I think it really has an art deco feel to it and it makes a great border. 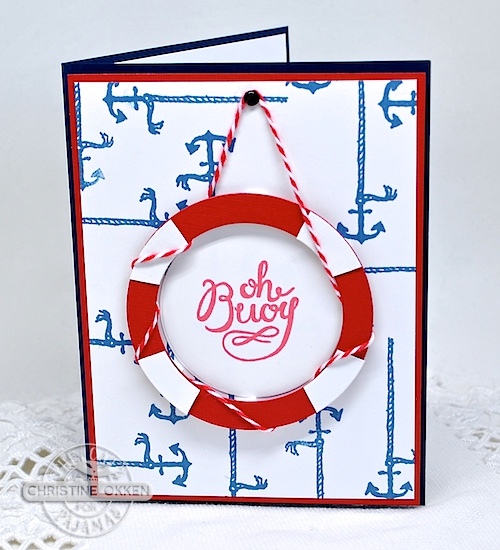 Next up, another very nautical design with Oh Buoy, that would be great as a baby boy card, little boy card - or even a big man card :). When I saw the anchor and this sentiment in the set, I thought it would be fun to combine with a buoy of my own. I used the Framed up Circle frame again, die cutting it in red and white cardstock, then trimmed out sections of white cardstock to form the white parts of the buoy. I added some baker’s twine to tie it up and a single black brad to attach it too. 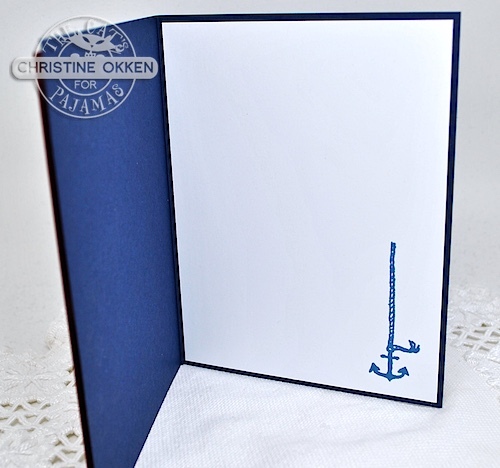 The anchors were super easy to stamp in a turn around style on the background with some Navy Ink. Simply stamped on the inside as well. I like the crisp clean look to this one. Now, it’s the adorable set Critter Camp. I had a lot of fun with this one and I will show you another couple of creations with this set at the release hop next week. This cute raccoon got some colouring with Copics, a fun party hat, balloons and a sign to hold to celebrate the birthday person. 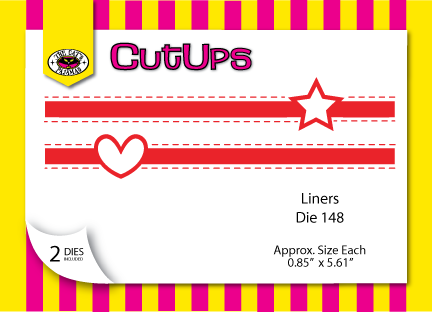 All layered on a TCP Square Stamp Cut Ups Die. With some wild patterned paper, brads, and baker’s twine. He’s ready for the celebration, and so darn cute too! Next we’re moving on to the lovely sentiment set One Liners, and new Liners CutUps Die. 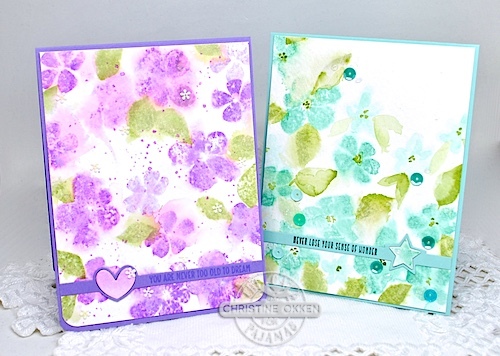 This was really fun to play with combining another of my favourite TCP stamp sets, Sketchy Flowers. For each card I dampened my watercolor paper (Strathmore Cold Pressed 140 lb) with water in a wide brush, and then inked the solid flowers and leaves, stamping them onto the damp paper. It lets the ink bleed and gives you an impressionistic watercolour wash effect. Sometimes I added super soft details of other flowers in the background with the ink, and my brush to give you more of a near and far field of flowers. 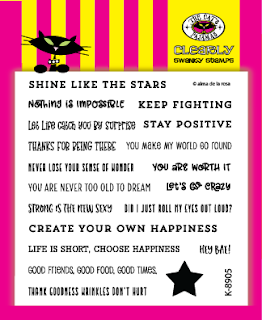 There are some really lovely phrases in this stamp set, and the little liner dies are perfect for them. I just used the inner parts of the die, but it also comes with a stitched outside. Another very sweet sentiment which would make a great birthday card. Each of these two is embellished simply with sequins. Hoepfully you’ve enjoyed this Sneaky Peek! Here’s a look at the wonderful new items I used today which will be available on July 31st! 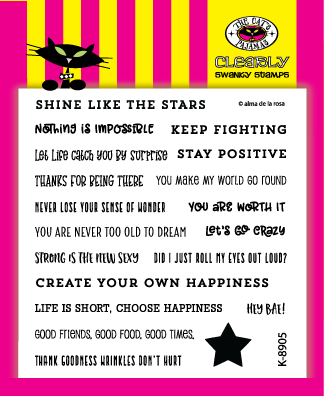 Be sure to tune in to the TCP Blog each day for new inspiration from the Kitties in the Cat Pack! 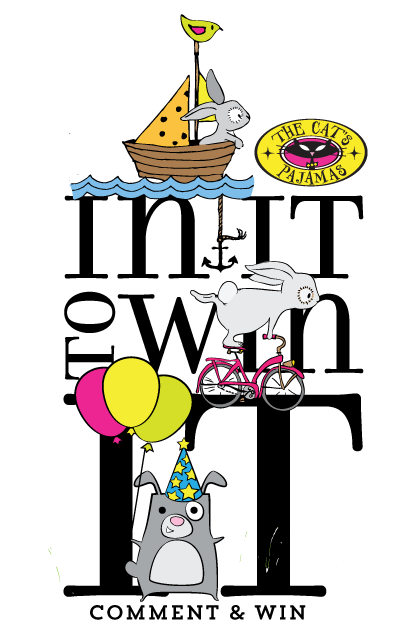 Now don’t forget that you can be “In It to Win It! Just by commenting on my blog today, you could win a gift certificate to The Cat’s Pajamas! Winner will be announced tomorrow on the TCP Blog. Thanks for stopping by! Love them all, Christine, but I think the first is my favorite. It is so beautiful and peaceful, wonderful creations! Beautiful cards! 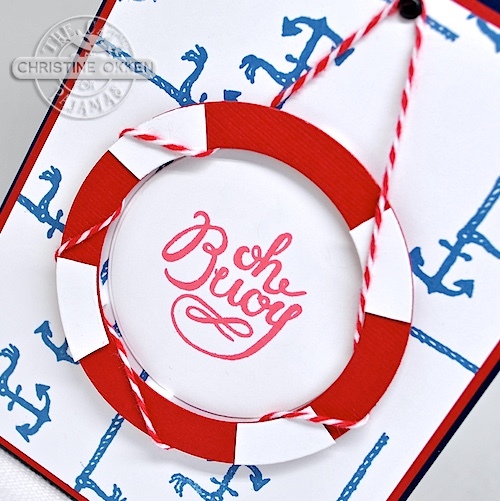 Love the nautical theme. Beautiful cards Christine! What great techniques! I too love the sketchy flowers card the most! 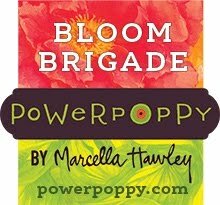 I love your cards and blog. Thanks for showing extra photos. I like the Oh Bouy card the best! Oh your cards are so beautiful, I can't single any one out. They all feature some cool technique or idea. Really creative. Love them all! I love anything beach/ocean themed. I'm at the beach now. Great beach-themed cards. Love that sentiment. Pretty floral cards too. Beautiful cards! Love them all! Great use of the dies and stamps! What a fabulous collection of cards! 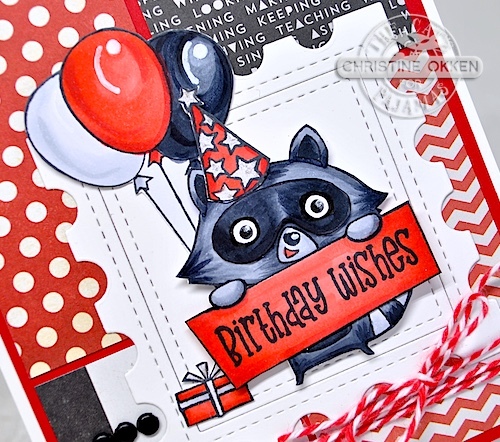 I especially love your red, black, and white raccoon card! It's so festive and fun! Oh Christine your cards are wonderful! The birthday card is especially festive with all the different BY papers. The floral cards are so soft and pretty tfs. Absolutely love these cards!!! Love the watercolor!!!! Christine your work is lovely. 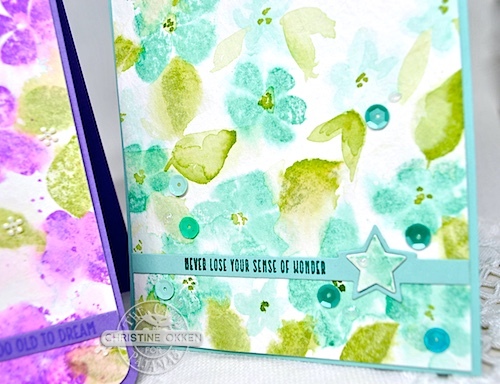 Great stamping and coloring. I really like nautical for my brother-in-law, these would work nicely. The watercolor look on the flowers is beautiful. Nicely done. Love the little raccoon card! Oooh, that Critter Camp set is so adorable!!! Great cards! It is so fun to see your cards! 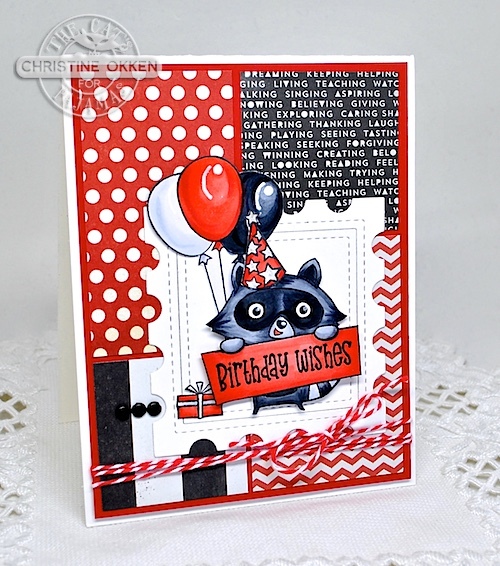 I love the way you used the liner dies with your watercolor backgrounds and your raccoon card is da bomb!! Thanks for sharing today! Wonderful variety of cards. I really like the nautical ones. Wow! So many wonderfully, creative cards! Love them all and I love this new release too. Fantastic collection of cards! Such a variety of styles, all so beautifully executed. 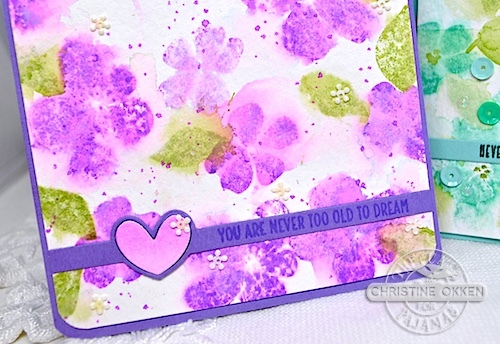 I just love the watercolored look of the floral cards. A brilliant set of cards Christine! I love them all.